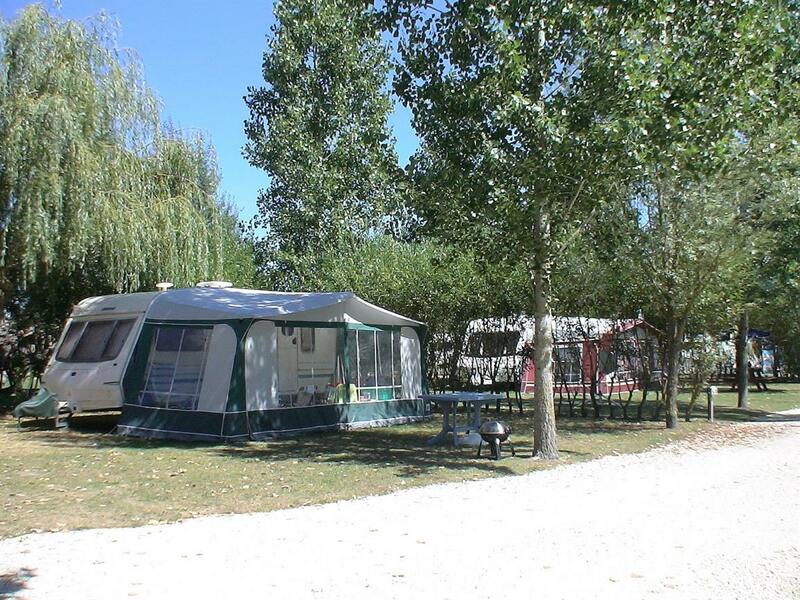 Camping Le Cormier (known locally as Camping d'Obterre) is situated in a separate meadow of approx 4 acres within the 10 acre site and close to the owners' main property. The meadow has a boundary of trees making it a peaceful and tranquil setting surrounded by rolling countryside, a natural haven for various species of birds and wildlife. 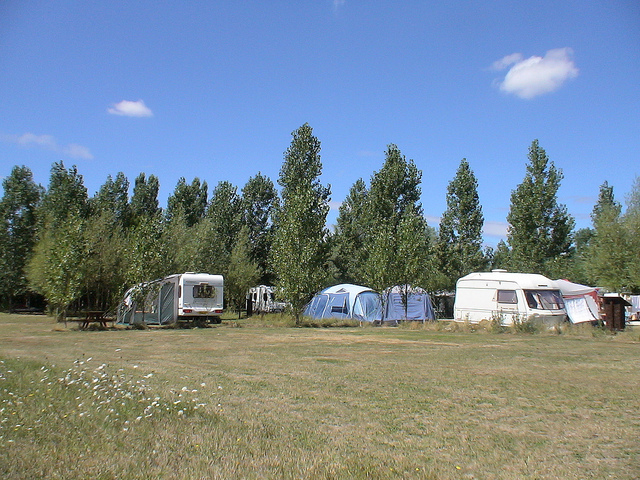 The camping area has large (average 180 sq metres) grassy level pitches for 12 caravans, tents or motor-homes with 3 water taps close-by and a minimum of 8 amp electricity points. Most pitches have trees & bushes providing shade for those warm hot sunny days and we do have other pitch options with electricity hook-up for flexibility and choice. (There is also a separate semi hard-standing area having a minimum 10 amp power supply available away from the main campsite area). 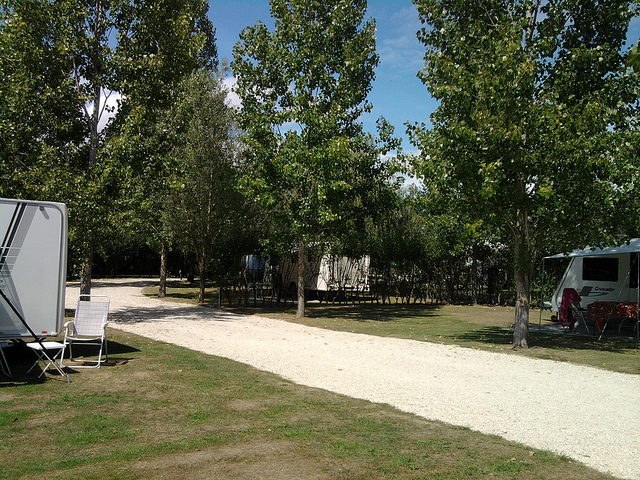 We have a gravelled roadway running through the campsite and gravelled path to the barn, with the added advantage of low level lighting on both roadway and path for your comfort. Toilet & shower facilities are available in/near the main building. 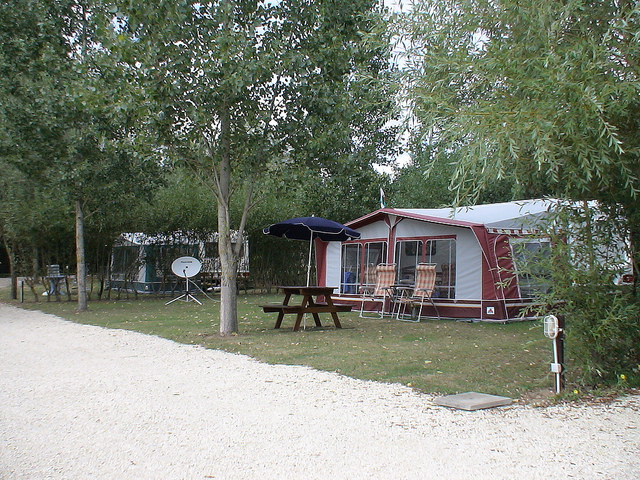 Other facilities include laundry & tumble drier facilities for a small fee in ‘La Buanderie’ which is adjacent to the office / reception situated in the main building and, when your own fridge won’t take any more, you can hire a separate fridge for the awning. Table tennis and darts are available in the barn for all campers to use along with an above ground splash pool. Pets are welcome with designated Dog walking zones but it is requested that our canine friends are kept on a lead at all times around the campsite and main building. We are able to introduce, recommend and even book an appointment for you at a local vet used by several of our visitors for the necessary travel/passport requirements before returning home. PLEASE NOTE: our waste water system is a septic tank or 'fosse toutes eau'. Therefore ONLY bio-degradable fluid & NO TOILET ADDITIVE CONTAINING FORMALDEHYDE to be used. We usually have a small supply of the correct additive available so if you don't already use bio-degradable fluid then please arrive with an empty and cleaned/washed cassette. Please speak to Mike or Cath if unsure. The site now enjoys Wi-Fi coverage which normally covers the whole campsite & grounds plus ALL pitches have access to Astra 2 Satellite connection - both of which are FREE. The pitches are large and so a good length of TV cable is required (min 15m) with satellite screw type F-connector. A range of off and on-site activities are available – see the activities page. The annual fee for outdoor storage (on a gravelled area) is €300.00 pa or €30.00 pm if monthly storage is preferred. The fee automatically includes at least one annual clean of the exterior of your caravan with free set-up and levelling on one of our very spacious pitches. For a small additional fee, we will also erect your awning so everything is ready and waiting your arrival. 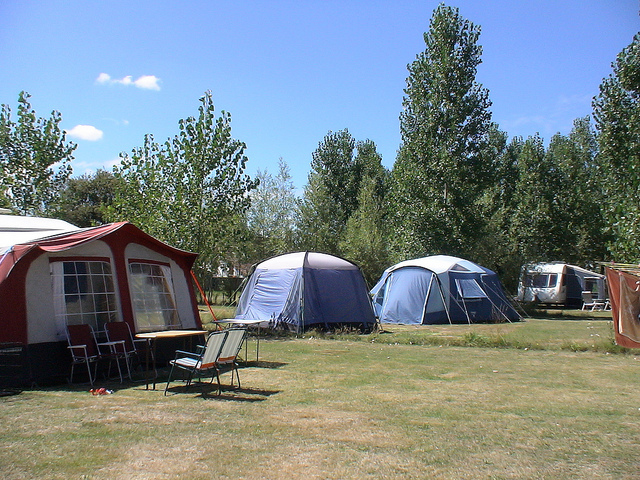 We have insurance for our campsite but recommend all customers have their own insurance for total peace of mind – we can provide you with an introduction to a few UK Insurance companies that will consider an appropriate policy. The engineer usually visits our site in May and September. We are ideally positioned in the centre of France especially for that peaceful holiday break, or as a stop-off point when heading to the south of France, Spain or Portugal, having motorway junctions approximately 30 minutes away – the A10 motorway to the west (direction Bordeaux) and the A20 to the east (direction Toulouse).